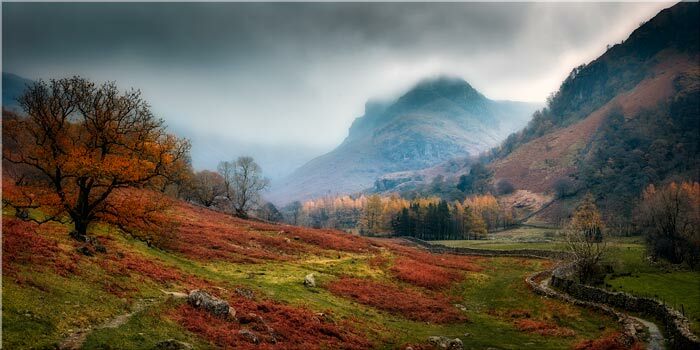 Photographs on canvas from around the Borrowdale Valley in the Lake District. From the Jaws of Borrowdale all the way around to Honister Pass, Borrowdale is a beautiful part of the Lake District. With single panel canvases up to 7ft wide and multi-panel canvas prints up to 13ft wide. Borrowdale Valley photo gallery. Photographs from all around the Borrowdale Valley area in the Lake District. Single and multi-panel canvas prints.